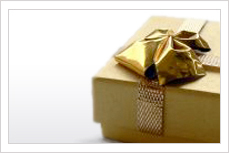 Our gift packages make the ideal gift for that "special" person with discriminating tastes. What better way to say "I care" than with a unique exotic meat gift package. All gift packages are shipped with cooking hints, recipe ideas, and a gift card which can be personalized, making it the perfect gift! We reserve the right to provide comparable substitutions and can provide custom gift packages by request. All meat is shipped using reusable Styrofoam coolers, gel paks, and a two day delivery service from a trusted delivery carrier. Call 1-800-730-333 or email us today for more information or assistance in customizing a gift package for you!